What are the Criminal Penalties for Impaired Driving? A hybrid offence means that the Crown can choose whether to make your charge summary of indictable. A summary offence usually carries lesser penalties than an indictable offence. Being convicted of the summary conviction offence of 2 nanograms (ng) but less than 5 ng of THC per millilitre (ml) of blood carries a maximum $1,000 fine and a minimum 1 year driving prohibition in the Highway Traffic Act. Being convicted of either hybrid offence of (1) having 5 ng or more of THC per ml of blood or (2) having a combination of 50 mg of alcohol per 100ml of blood, and 2.5 ng or more of THC per 1 ml of blood, carries different mandatory sentences depending on whether it is your first, second, or third offence. All of these penalties are the minimum you must be charged with. Depending on the circumstances of the offence, you can be sentenced to pay a higher fine, have a longer driving prohibition, and serve more jail time. A first conviction for either (1) having 5 ng or more of THC per ml of blood or (2) having a combination of 50 mg of alcohol per 100ml of blood, and 2.5 ng or more of THC per 1 ml of blood, carries a mandatory minimum $1,000 fine and a 1 year driving prohibition. A second conviction has a mandatory minimum of 30 days imprisonment and a 5 year driving prohibition. Third and more convictions have a mandatory minimum of 120 days imprisonment and a 10 years to life driving prohibition. These are the minimums you can be charged with. Depending on the circumstances of the offence and your previous driving history, you can be charged with more. For example, your driving prohibition may be higher under the Highway Traffic Act if you have prior convictions of driving offences. Depending on your record, these additional prohibitions can range from 1 year to a lifetime. In addition to these mandatory sentences, you can have probation added to your sentence with certain conditions added like a curfew, not attend a certain location, no contact with a certain person, and not consume drugs or alcohol. Costs and surcharges will be charged to you for each criminal offence you are convicted of. They are an additional 30% plus $2 of the fine given to you by the judge. For example, if you fined $1,000 by the judge, an additional $302 would be added for a total fine of $1,302. You can either pay the fine, or work off the fine by doing community service worth through the Fine Option Program. 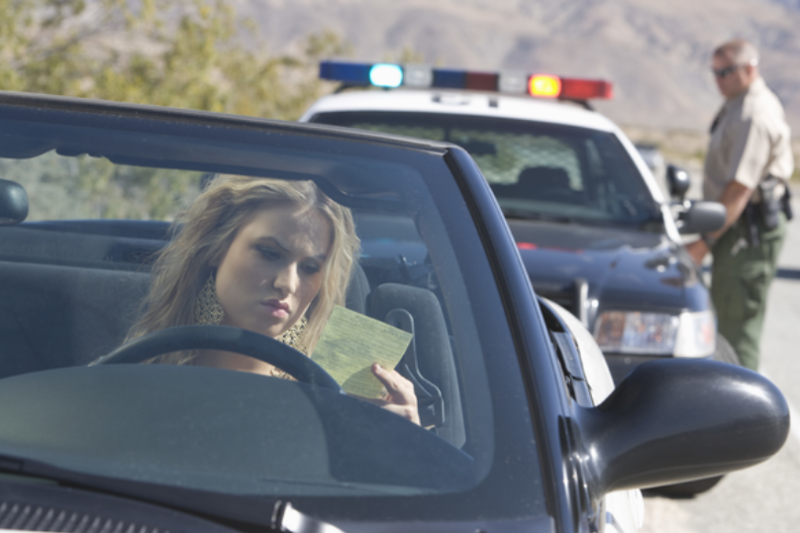 Some offences may not be able to be worked off, such as a Highway Traffic Act offence or parking tickets. If you are convicted of two or more Criminal Code driving offences within 5 years, you can have your vehicle seized. These offences can include: operation while impaired; driving with a blood alcohol level over 0.8, refusing to supply a breath or blood sample; driving while disqualified; dangerous operation of a vehicle; flight from police and failure to stop at an accident. Upon conviction, your vehicle is not returned to you. Manitoba Public Insurance (MPI) may impose additional penalties to those of the courts. 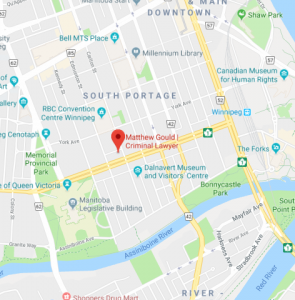 What are the Penalties with Manitoba Public Insurance (MPI) for Impaired Driving? If you are suspected by police of being under the influence of any drug you can receive an immediate 24 hour roadside licence suspension. This means that if you fail a physical coordination test, or test positive on an oral fluid screening test, your driver’s licence will be invalid for 24 hours. If you fail an oral fluid screening test as a novice driver you may be fined $113, and failing a supervising driver can have a fine of $672. If you fail a physical coordination test or Drug Recognition Evaluation (DRE), you are subject to a Tiered Administrative Licence Suspension. These suspensions range from 72 hours to 60 days depending on how many previous suspensions you have received within a 10 year period. This suspension will result in 5 demerits on your Driver Safety Rating. You may also be subject to Driver Improvement and Control Intervention, a warning letter, further suspension, or completion of an Impaired Driver Assessment. In addition, you will receive an immediate licence suspension. Refusal to provide a blood sample, perform a DRE, or perform a physical coordination test, will receive an immediate 3 month Administrative Licence Suspension. This will result in 5 demerits and a payment to reinstate your licence. If you must drive for work or personal reasons, you may appeal your driving suspension to the Licence Suspension Appeal Board who can give you conditional driving privileges. Penalties imposed by MPI are separate from those imposed by the justice system. Can I Drive While High on Drugs other than Cannabis? Along with the regulations of THC, any detectable level of other impairing drugs such as LSD, methamphetamine, LSD, 6-MAM (heroine), Ketamine, Phencyclidine, and Psilocybin and Psilocin (magic mushrooms) is a criminal offence. You may have up to 5mg/L of GHB in your blood, as the human body produces small amounts of this chemical naturally. Having any amount of these drugs in your system, or more than 5mg/L of GHB, carries penalties for first, second, and subsequent convictions. The first conviction carries a mandatory minimum $1,000 fine. The second conviction a mandatory minimum of 30 days imprisonment. The third and following convictions have a mandatory minimum of 120 days imprisonment.